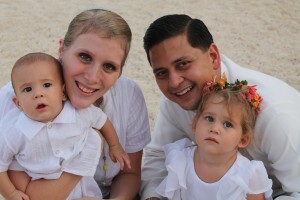 Several months ago, Jean and Ra lph, came to our church looking for a place to set their roots and start their family. This Christian couple had found our church by sheer happenstance…they had discovered our home church’s website. They enjoyed listening to Pastor Kohl’s sermons and even went through his marriage counseling on audio. 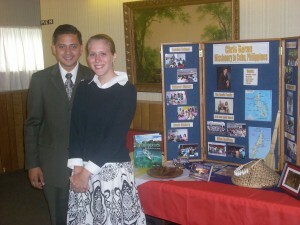 It was during this time that they realized that Faith Bible Baptist Church in Eden, NY had sent a missionary to Cebu, Philippines, the same island where they lived. After contacting me they asked for directions and visited our church. They have been faithful ever since! 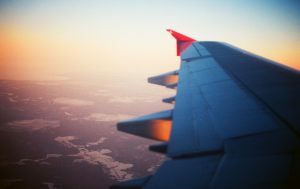 I was amazed when they started talking to me about my pastor-they knew his testimony of salvation and other details about his life. I laughed and said, “Are you sure you have never been to our church?” As their wedding date drew near we went through marriage counseling and enjoyed getting to know them more and more. When the big day finally came…I didn’t know who was more nervous-them or ME! I performed my first wedding and enjoyed celebrating the creation of a new family. 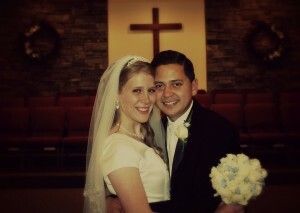 I am so thankful that God guided this couple to us. He is the only one who could have brought us all together. 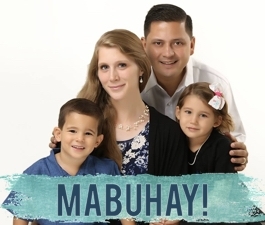 We are so thankful for His blessings as we serve Him in Cebu! After months of engagement November 28, 2009 finally arrived! It was a day that surpassed all others. Elizabeth and I felt greatly privileged to have so many loved ones surrounding us on our special day. It is something that we will never forget! To God be the glory and honor! Thank you for all your prayers and gifts! Please enjoy the pictures we have posted on our blog. I was privileged to be invited to Bible Baptist Church by Pastor Schwartz to present my burden and call to the Philippines. It was a very special meeting since this was the first time Elizabeth was able to join me. I preached during Sunday School and showed my presentation during the Sunday morning service. After the morning service, I along with the Troyers were invited to join Pastor Schwartz and his family for lunch at their home. Since the Troyers are only about 20 minutes away from the church, Elizabeth and her younger brother Sam were able to stay for the Sunday evening service. Pastor Schwartz made sure that Elizabeth and I did a special together before I preached. They were so nice that they took a special love offering for Elizabeth to help in our upcoming wedding. I had a great time and I cannot wait till we get married and start full time deputation together.